If you are looking for Valentine's Day party ideas for children, check out these great suggestions for celebrations at home and at school. You can incorporate the theme into games, treat, and giving the gift of love to others in the community. These Valentine party ideas are sure to be a hit with kids and grownups alike. A sure-to-please Valentine's Day party is one that mixes cookies and a child's creativity. You will need basic sugar cookies baked in Valentine shapes such as hearts and "Xs" and "Os," pastry bags filled with pink, white, and red icing, sprinkles, colored sugar, and other cookie adornments. 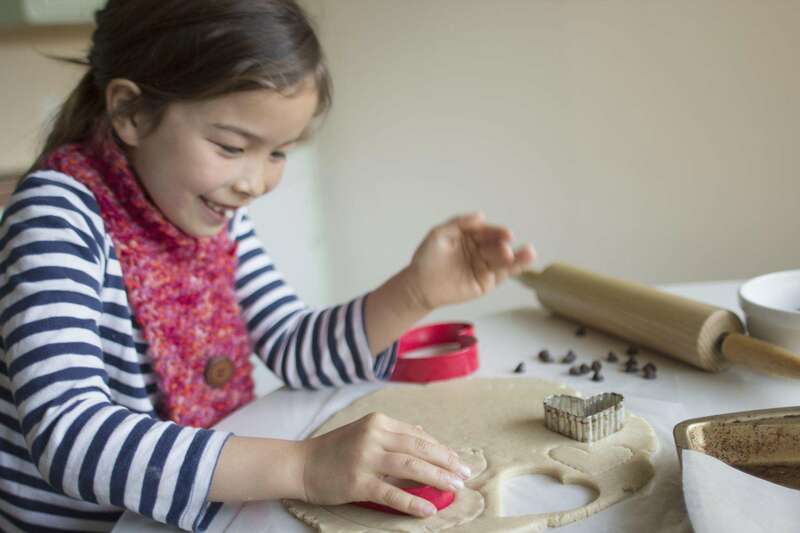 Kids will love getting creative and constructive as they strive to create edible works of art. Be sure to take photos as these treats may not last long. You could have prizes for the prettiest, funniest, most colorful, or most classic decorated cookies. The finished creations can be used as gifts for parents, grandparents, or siblings. Provide clear cellophane bags, curling ribbon, and gift tags. Another fun idea for a Valentine's Day celebration is a craft-making party. The hardest part is deciding what type of crafts you want to make with the children. There are virtually hundreds of crafts to choose from. Consider the age of the children, their ability level, then decide which crafts you want to make. Then, get some supplies, and let the children's imagination run wild. To get you started with a few ideas, think of making a heart wreath, Valentine's Day cards, or tissue paper flowers. Without a doubt, Valentine's Day is a sweet tooth's holiday. Consider throwing a Valentine party that is centered around children helping you make the sweet treats from start-to-finish. And, an added benefit, you can make treats that are low fat and low in calories—good for the heart, too. Check out these sweet treat ideas, most sweet, a couple savory, that teach a valuable lesson about finding the way to a person's heart. It's not really a party without games. There are many games with a Valentine's Day twist. They include Catch My Heart, relay races, scavenger hunts, and variations on musical chairs. If you are helping to set up a classroom party or are hosting a party for children at school, the main things you will need to think about are how many children will be there, what are their ages, and how long will the party be? Tailor your party to the children and the time you will have. A great way to incorporate the feelings of love and compassion from the holiday into a party is to host a party with a charitable theme. You can put together care packages for troops serving overseas, make toys or treats for pets in shelters, or fill backpacks with school supplies to deliver to homeless children, just to name a few. There is hardly a better way to teach kids about love than to host a Valentine party for a cause and show them how to give back to the community. You can participate in the annual National Salute to Veteran Patients Program. Contact your local VA and ask for the Voluntary Service to see how it is celebrated in your area. Make Valentine's cards and crafts to distribute to veterans in hospitals and care facilities on February 14.